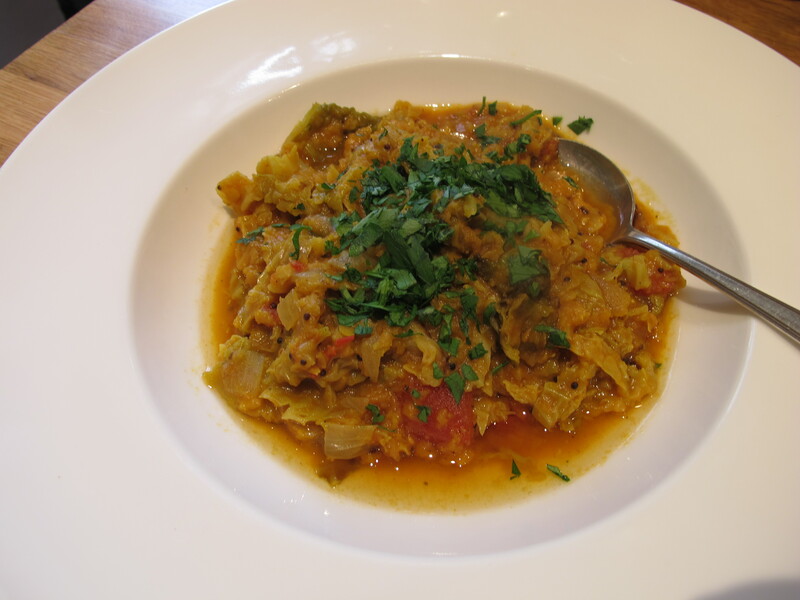 Renown vegetarian cookbook writer, Rose Elliott found this in Julie Sahni’s Classic Indian Vegetarian Cookery and adapted it and I have tweaked it a bit. It’s a quick excursion to the East. 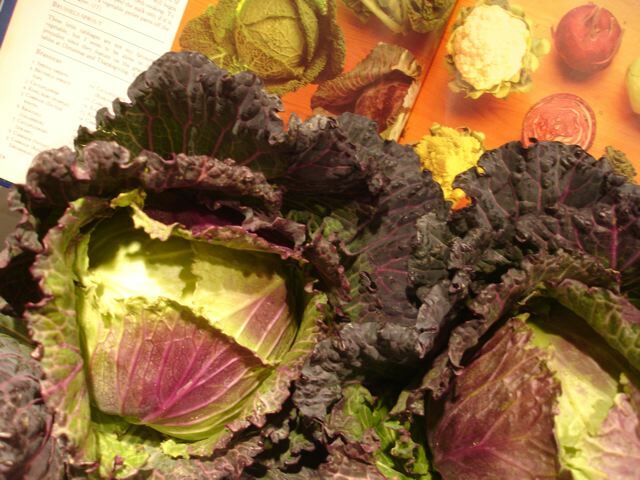 There was a small cabbage in the fridge and some fenugreek seeds on the shelf in the larder, which I whizzed into powder in a converted coffee grinder! Our friend Myriam called in this morning and said it was minus ten last night and would not get warmer until Wednesday, so a bowl of something gently spicy and soupy for lunch might be just the ticket. Add the chopped tomatoes then set aside. Add the mustard seeds and cook them until they start to pop–a couple of minutes; they look brown in the photo but in fact stay black. 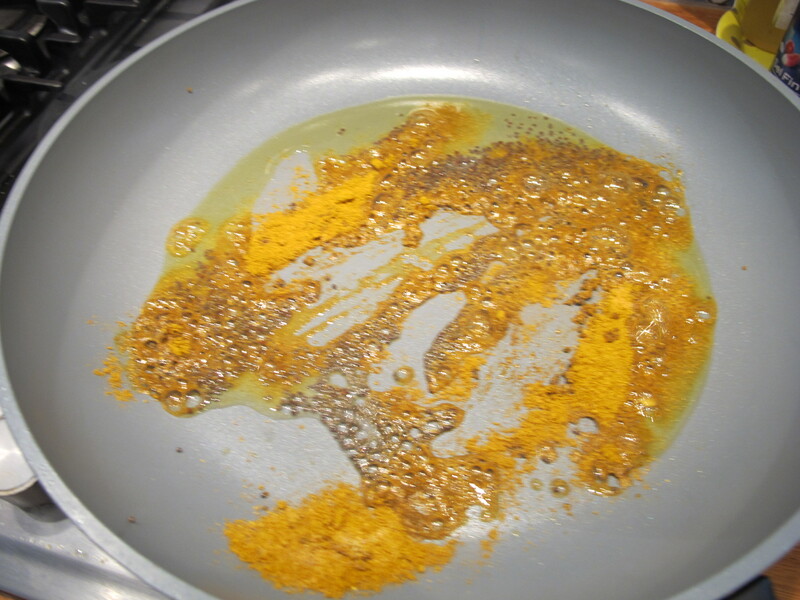 Mix in the curry powder and the fenugreek (if using) and let them cook for a few seconds. 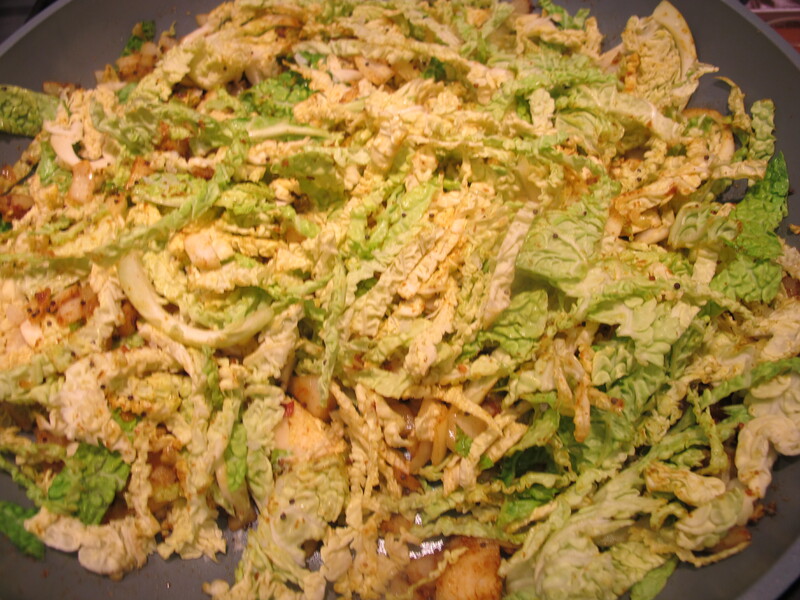 Add the onion and the cabbage and mix everything together well. 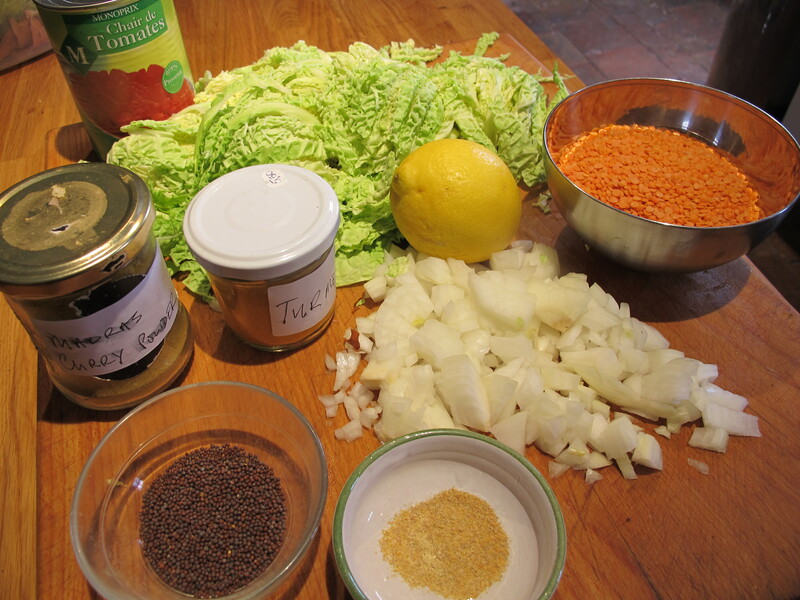 Add the wilted cabbage mix to the lentils. Leave it to simmer gently for 20 minutes. Sprinkle over the parsley or coriander when you serve. The last few days have been unbelievably beautiful — warm, with soft golden light, and the leaves which have just begun to color slowly drifting to the ground. More of the same is predicted for tomorrow and the next day. Not really soup weather at all. However, cold and rainy weather is out there somewhere in our not too distant future and I look forward to making this again. Exactly how I’m feeling–I found this quote by chance on a lovely looking site called Kitchenography– Life in my Kitchen. Soup is what I’m feeling like tonight. 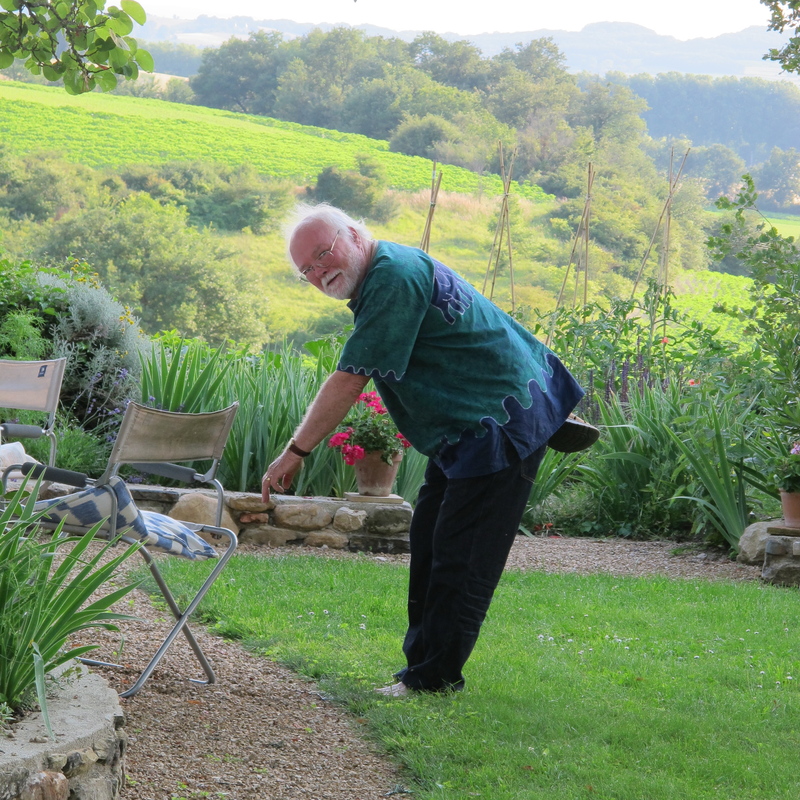 The days are summer days–the evenings and nights are autumn. So that’s why I have a yen for soup–I understand–often you have to put it into words and then it becomes clear. I’d bought some leeks and fennel and I’m starting with an onion. Sweat the onion for a couple of minutes. Add the leeks and fennel and sweat all three for ten minutes, covered, until they soften. Season well with pepper and a little salt. Add a pint of vegetable stock. Simmer gently for twenty minutes. Liquidise the soup and check the seasoning. If you feel the soup is to thick add a little extra water. 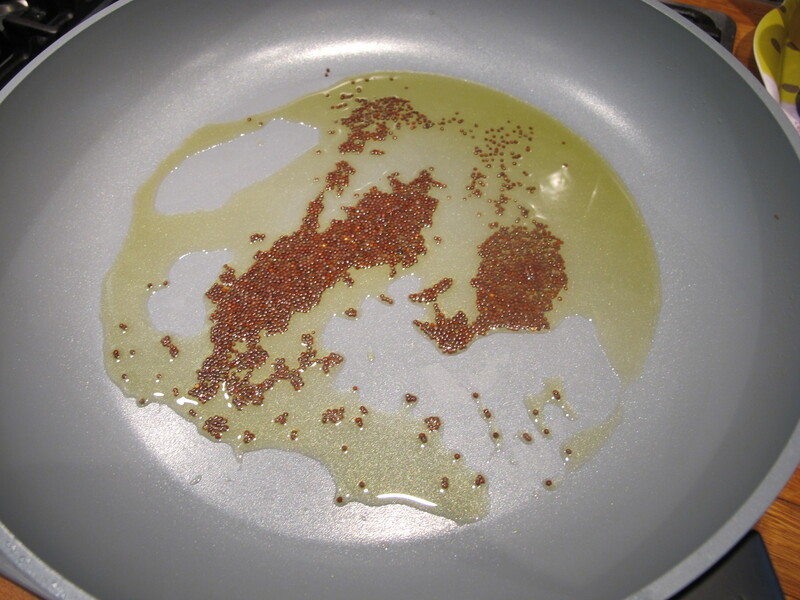 Sauté the onion in the oil until it is nicely browned. Twirl a little on each bowlful of soup. I put a sweet potato in the oven and we had a half each after the soup with some new season broccoli. 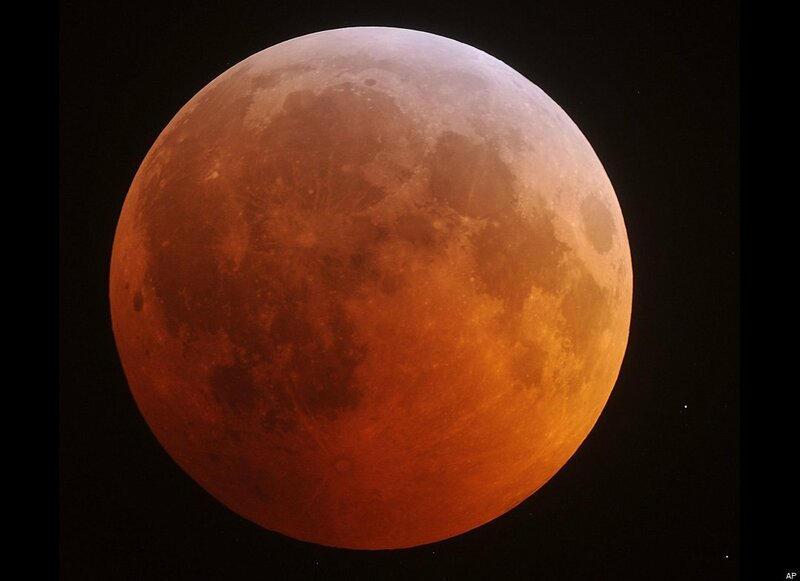 rounded off by a lunar eclipse (http://www.guardian.co.uk/science/2011/jun/15/lunar-eclipse-moon-red). 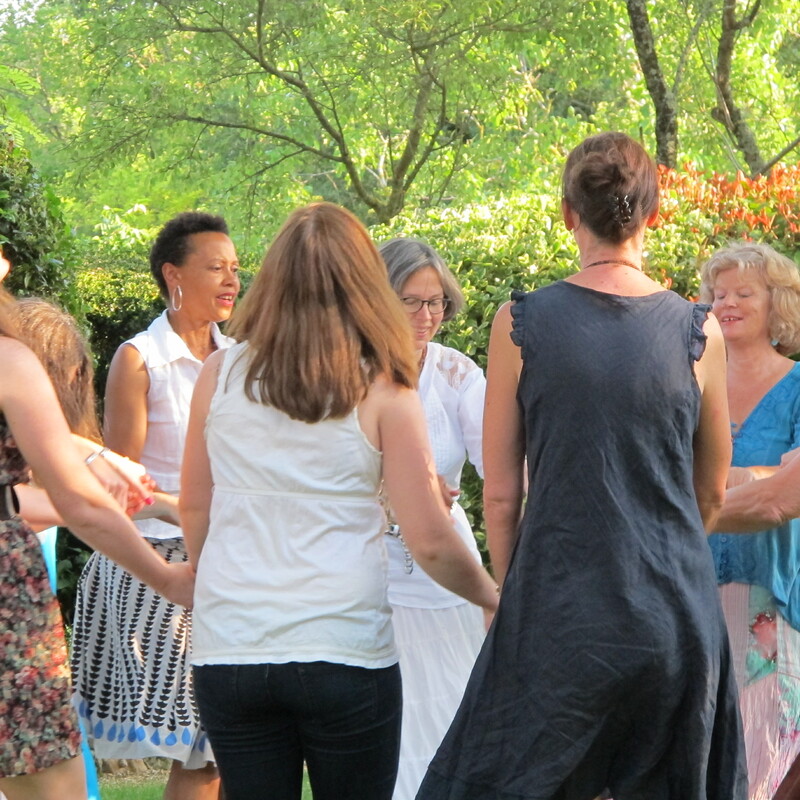 Meredith’s passion–Circle Dancing (http://www.findhorn.org/)aka Sacred Dancing–learned at the Findhorn Foundation(http://www.findhorn.org/) north of Inverness in Scotland. 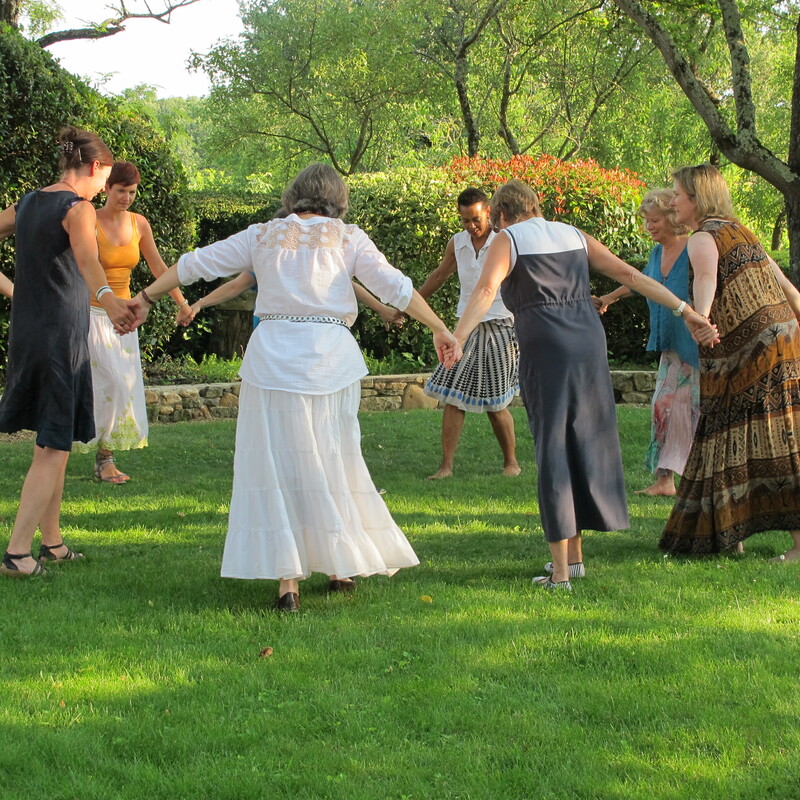 She has a regular circle of enthusiasts, who dance each month on the night of the full moon for a couple of hours. Everyone brings a dish to share after the dance. 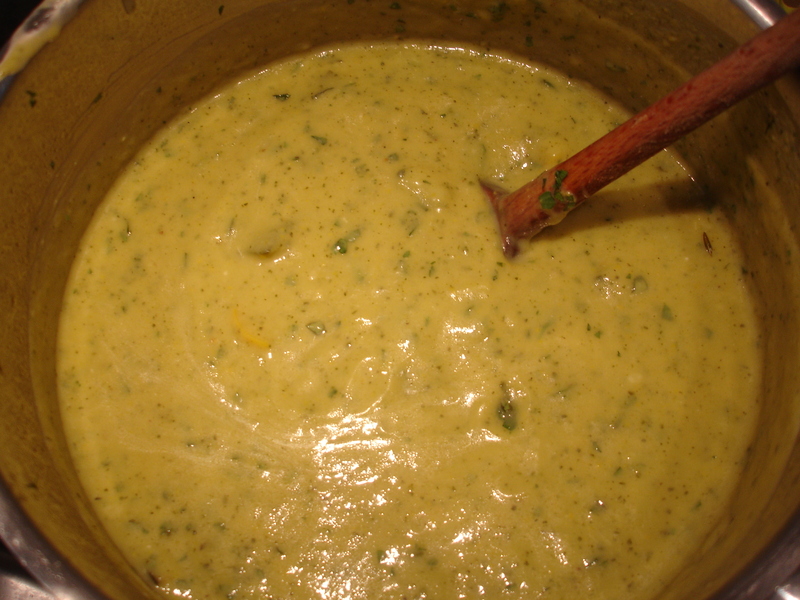 My contribution–Courgette soup— is adapted from the River Cafe’s recipe. who grows courgettes herself and brings us a shining green handful from time to time. It is simple and satisfying, with a light green hue and creamy texture. 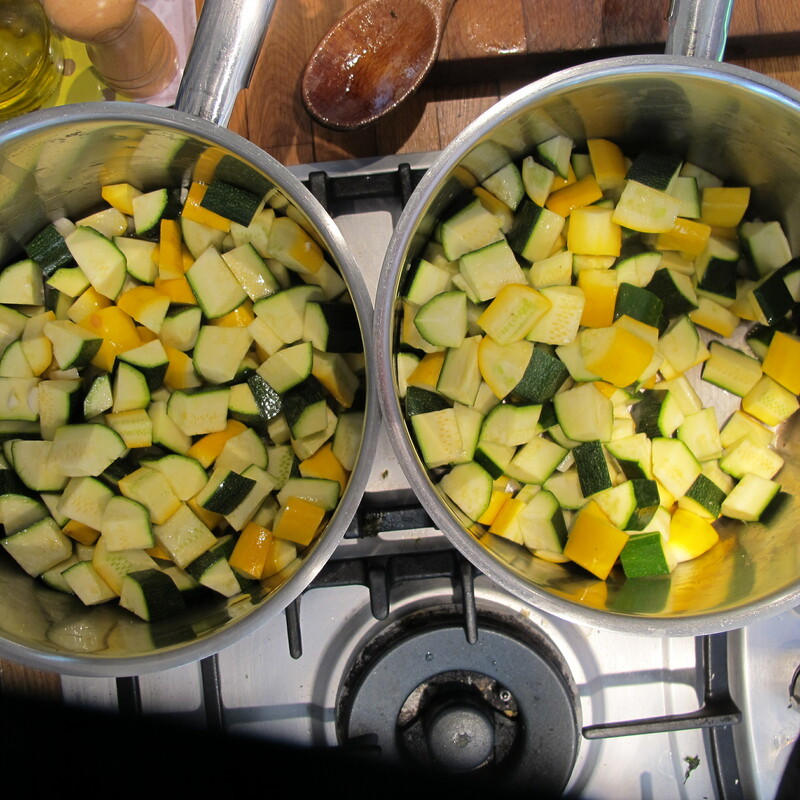 Fry the courgettes and garlic in the oil until they are very tender and browned a little–about 30 minutes. Add the stock and bring to a gentle simmer for 5 minutes. Season with salt and pepper– taking care with the salt assuming there is salt in the stock. Let the soup cool a little. 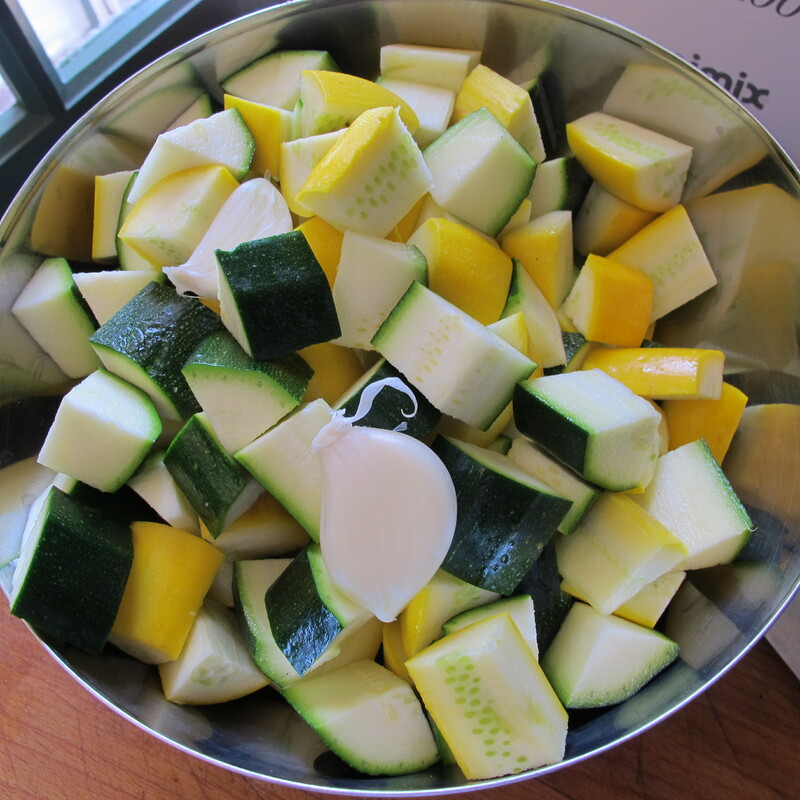 Remove a quarter of the courgette pieces and liquidise the rest with a food mixer or handheld liquidiser. Return the whole courgette pieces to the soup. Stir in the cheese and yogurt followed by the parsley and basil. Check the seasoning and bring up to a simmer. –there’ll be no need for seat belts* though! 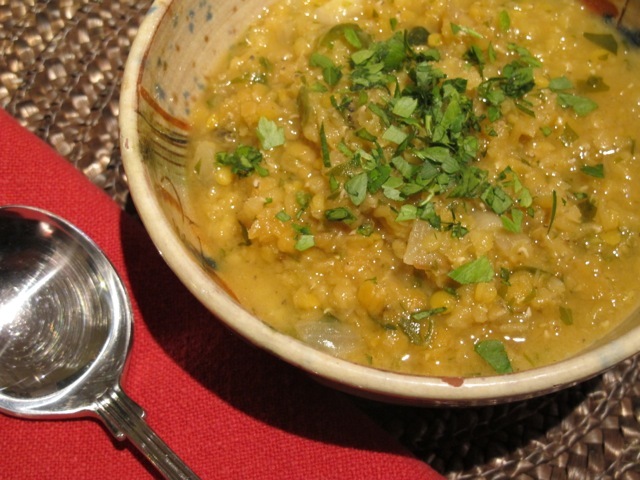 A simple but delicious soup this, that cooks for a while– deepening the taste. 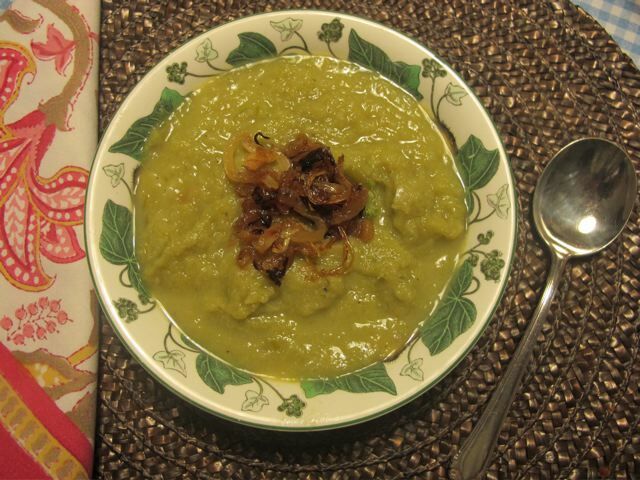 The recipe is adapted from Carolyn Mcrum’s wonderful The Soup Book published in 1978. 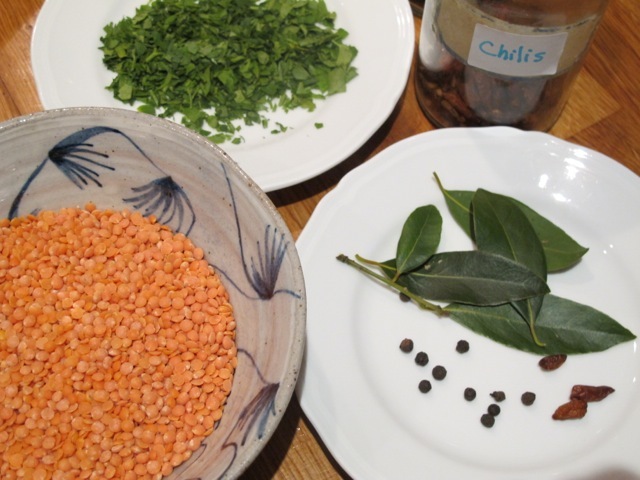 She writes: “Soup-making is one of the most pleasurable of culinary processes, but it takes time, and that it why it is so little enjoyed in a hurried age. My hope is to persuade people that the soup you make yourself is infinitely superior to soup from a packet or tin, and that making soup is a comforting activity, surpassed only by the activity of eating it”. Blanch the cabbage whole for two minutes in lightly salted boiling water—this keeps the cabbage together in the water. Set it aside to cool, before chopping it up. Soften the onions, garlic and bacon very gently in the oil for at least 10 minutes—this is the taste engine of the soup and needs time for the magic to work. 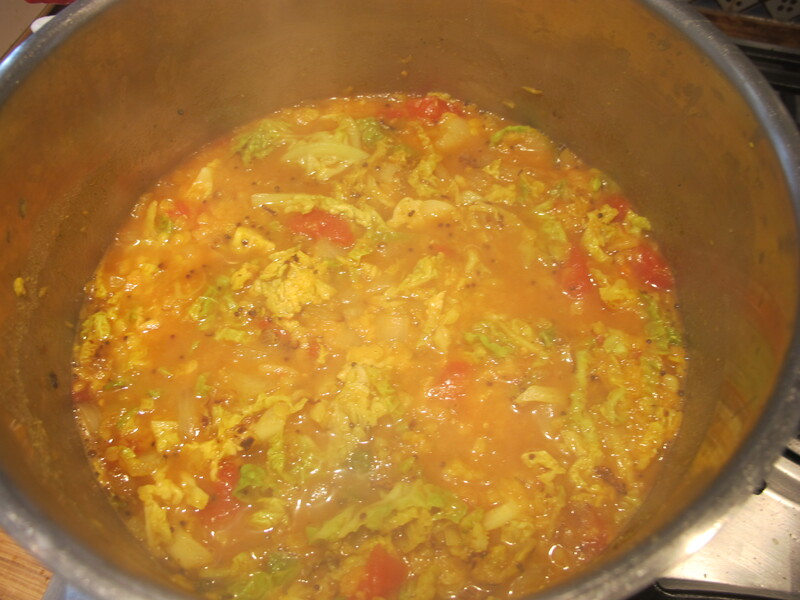 Add the chopped cabbage and the stock and season well. Cook at a gentle simmer for at least an hour and a half. Check the seasoning and serve hot with a sprinkling of parmesan cheese worked in. The wonderful aroma—though not everyone would call it that—fills the house for hours!